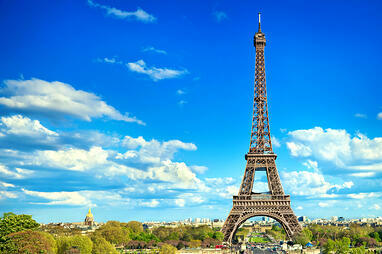 Who's Coming to The International Business Awards in Paris? Winners of Stevie Awards in The 11th Annual International Business Awards, the world's top honors for achievement in the workplace, will be celebrated and presented their prizes during a glittering banquet on Friday, October 10 at the Westin Paris – Vendôme Hotel in France. Close to 400 executives from over 30 nations will attend. The event will sell out. Only 50 tickets remain, and by this time next week they will be sold. Purchase your tickets now by first logging into your IBA entry submission account. Here is a list of the organizations that have already purchased their tickets for the October 10 banquet. Cisco Systems Inc. San Jose CA U.S.A.
Nicknamed the Stevies from the Greek word "crowned," the awards will be presented at a gala event on Friday, 10 October at the Westin Vendôme Hotel in Paris, France. Tickets for the event are on sale now at www.StevieAwards.com/IBA. Gold, Silver and Bronze Stevie winners were selected from more than 3,500 nominations received from organizations and individuals in more than 60 nations. All organizations worldwide are eligible to compete in The International Business Awards, and can submit entries in a wide range of categories, including management awards, company of the year awards, marketing awards, public relations awards, customer service awards, human resources awards, new product awards, IT awards, web site awards, and more. More than 250 executives worldwide participated in the judging process this year. The top Gold Stevies winners this year are Weber Shandwick, worldwide, with eight, and Quality Systems, Inc. (USA) with seven. Accenture (USA), Akbank (Turkey), LLORENTE Y CUENCA (Spain), MSLGROUP worldwide, MWW Group (USA), and Plasenta Conversation Agency (Turkey) are winners of five Golds each. Winners of four Gold Stevies are AT&T (USA), CallidusCloud (USA), Jack Morton Worldwide, Maras Group (Australia), and Oxford City Football Club (USA). Among the winners of three Gold Stevie Awards are Advanced Bionics (USA), AECOM (USA), ASDA’A Burson-Marsteller (United Arab Emirates), DHL Express worldwide, Globe Telecom (Philippines), Kanyon (Turkey), Odea Bank (Turkey), PS Communication (Denmark), and StarHub Ltd (Singapore). 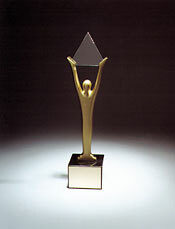 A complete list of all 2014 Gold, Silver and Bronze Stevie Award winners by category is available at www.StevieAwards.com/IBA. Next week the winners of the Best of the IBA Awards, five best-of-competition prizes, will be announced. Stevie Awards are conferred in six programs: The American Business Awards, The International Business Awards, the Asia-Pacific Stevie Awards, the Stevie Awards for Women in Business, and the Stevie Awards for Sales & Customer Service. The sixth program, the new German Stevie Awards, will open for entries on 18 August. Honoring organizations of all types and sizes and the people behind them, the Stevies recognize outstanding performances in the workplace worldwide. 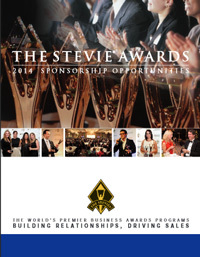 Learn more about the Stevie Awards at http://www.stevieawards.com and on Facebook, LinkedIn, Twitter, and YouTube.